Lincoln has renewed its Fairtrade Status for a further two years to help producers in developing countries achieve better trading conditions. Since 2012, Lincoln has retained the status of a Fairtrade City to contribute to the 7 million people including producers, workers and their families who have benefited from Fairtrade. City of Lincoln Council has five goals to support the movement, which include serving Fairtrade products, ensuring at least four Fairtrade product ranges are readily available in local retail outlets, ensuring local work places and community organisations support Fairtrade, raising awareness and understanding of Fairtrade across the community, and having regular meetings in the Fairtrade Steering Group. Councillor Gary Hewson, City of Lincoln Council’s Fairtrade spokesperson, said: “We are delighted that Lincoln has retained its status as a Fairtrade City to continue to support the international farming industry for a further two years. 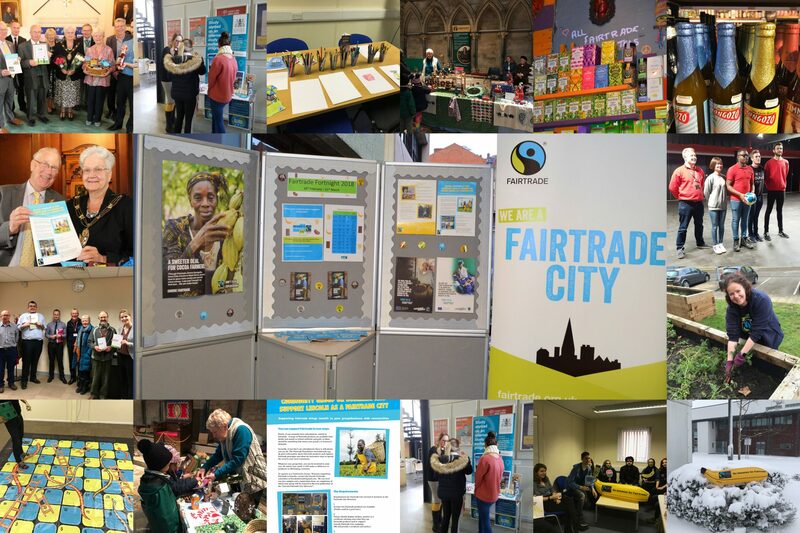 “City of Lincoln Council and the Lincoln Fairtrade City Steering Group has shown its continued dedication by supporting Fairtrade, from coffee mornings to fun and games, in order to engage the community and get them involved in the movement. Next week marks the beginning of Fairtrade Fortnight (26 February – 11 March), this event is held nationally in order to make people aware of the plight of farmers and other workers who put food on our plates every day. Fairtrade products are those which come from farms or other workplaces where the staff are treated fairly, paid a good wage and work in good conditions. Since 2012, Lincoln has retained the status of a Fairtrade City and it is one as a council wish to still hold in the years to come. By supporting Fairtrade, you can ensure that these farmers and workers are able to fulfil a basic human need – to put enough food on the table for themselves and their families, all year round. As part of the fortnight, City of Lincoln Council and other organisations in the city will be involved in promoting the benefits of Fairtrade products. On March 2, St Mary Le Wigford Church Community Hall will host an event in order to promote the importance of Fairtrade in the city. This event will include and interactive giant-sized snakes and ladders with a Fairtrade theme, free cups of Fairtrade tea and coffee, Fairtrade produce stalls and Fairtrade bananas donated by the Lincolnshire Co-op. Posters and leaflets will also be made available at Bracebridge, Sudbrooke Drive and St. Giles community centres, along with some shops around Lincoln.